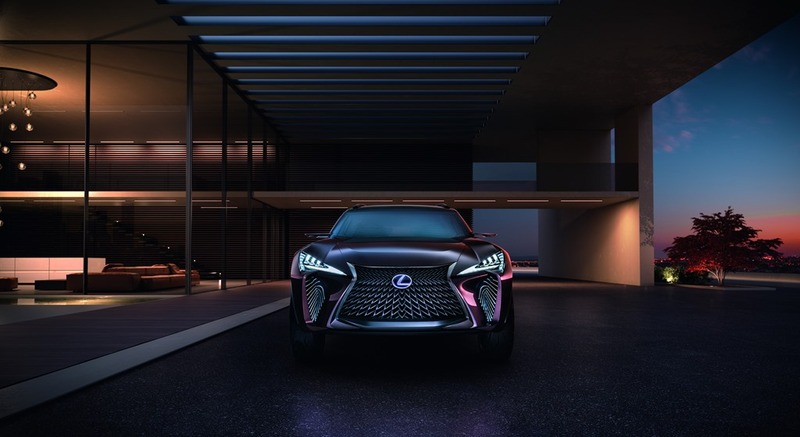 Lexus has unveiled a stunning concept vehicle that presents a dramatic vision for a premium SUV of the future with a powerful “inside out” design and deconstructed interior styling. 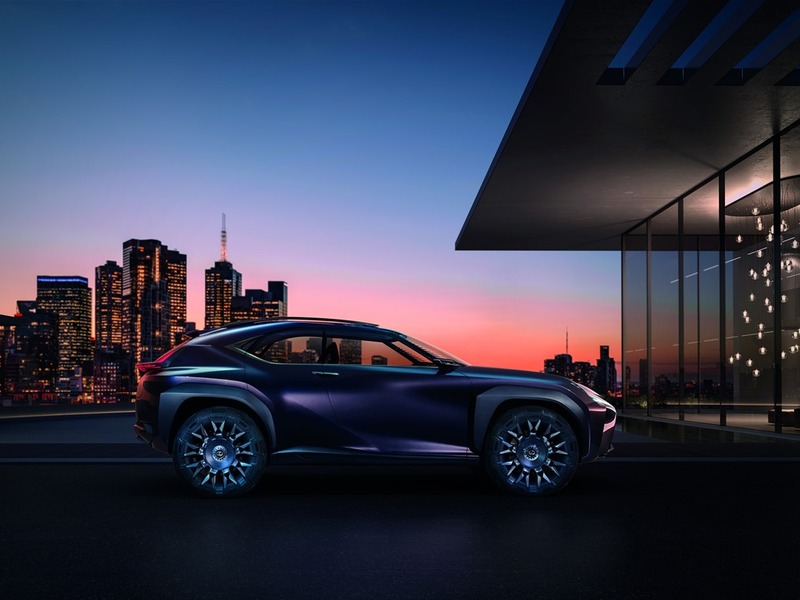 The Lexus UX Concept, revealed at the Paris motor show, is a new variety of four-seater SUV that represents the next step in the company’s design journey and a redefinition of the driving experience. 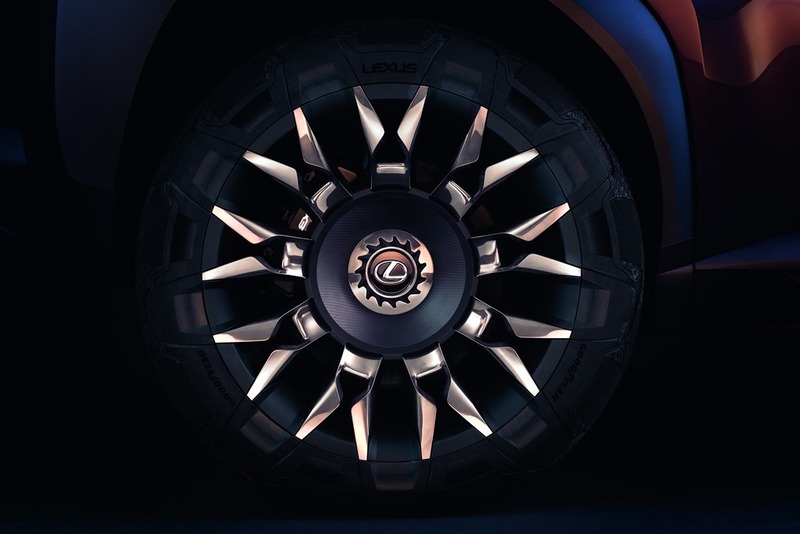 A powerful reinterpretation of the Lexus design signatures, the UX Concept reflects the brand’s determination that each of its models should have a unique, standalone character with a strong concept behind it. The innovative exterior design of the UX Concept contrasts the almost brutal appearance and real 4×4 presence of an off-roader with a low ground clearance and coupe-like driving position. 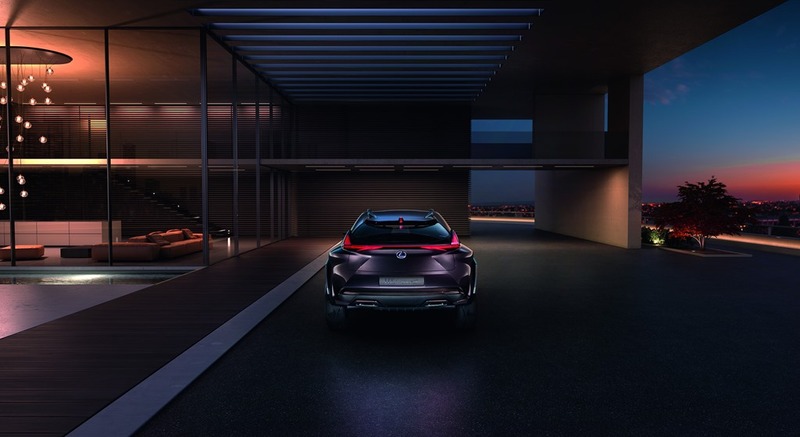 Created at ED², the Lexus design centre in southern France, the UX Concept reinforces the dynamic performance promise embedded in the compact packaging of the design. 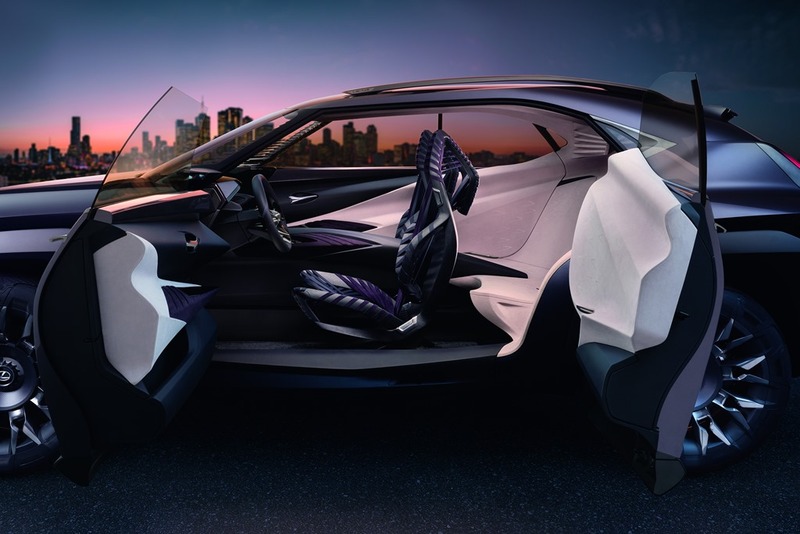 Its radical interior embodies imaginative, forward-thinking technologies that provide occupants with a fully immersive experience generated through cockpit ergonomics that flow from the driver’s body. 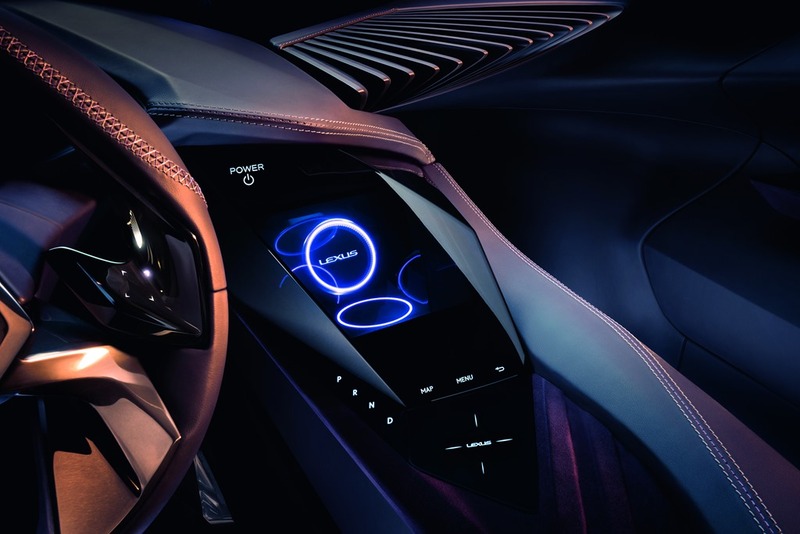 Innovative three-dimensional human-machine interface (HMI) technology provides floating hologram-style displays for the driver’s instrument binnacle and centre console. The latest advances in vehicle electrical technologies include electro-chromatic windows while slim door-mounted rear-facing cameras replace mirrors. 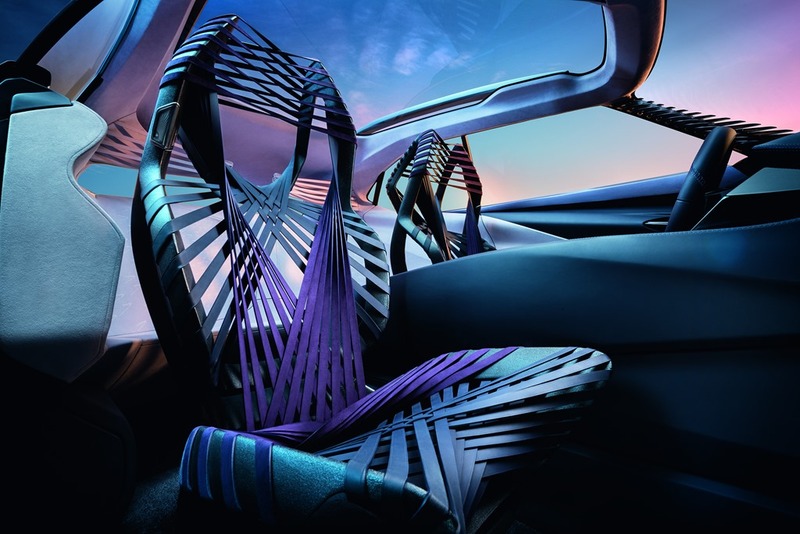 The vehicle also features the first design execution of a breakthrough seat technology, the Kinetic Seat Concept, designed by Lexus in response to a re-evaluation of the principles of car-seat occupancy. ED² president Simon Humphries said the UX Concept is a progressive, strong yet artistic and premium product that enhances the unique and challenging brand position of Lexus. 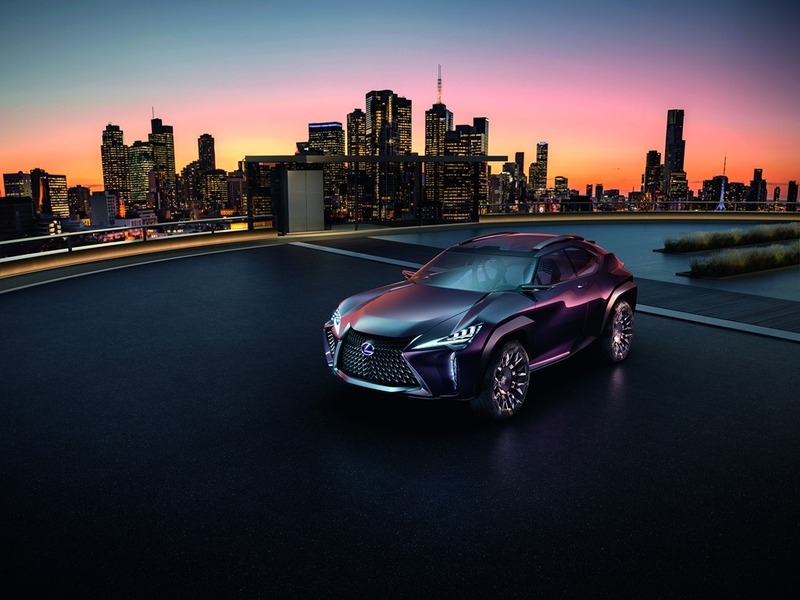 The Lexus UX Concept is rooted in the company’s pioneering expertise in the luxury SUV market, which led to the original RX and LX in the 1990s. In 2004, the RX hybrid was the first premium hybrid SUV on the market. In 2014, the NX mid-size SUV demonstrated that “utility” can be combined with a unique, striking design personality. 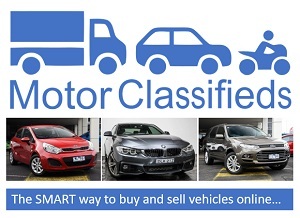 Small SUV premium is one of Australia’s fastest growing automotive segments. Young customers are upgrading in the quest for distinctive styling, a versatile interior and an engaging driving experience while premium customers are looking to downsize without compromising on comfort, driving position and space. 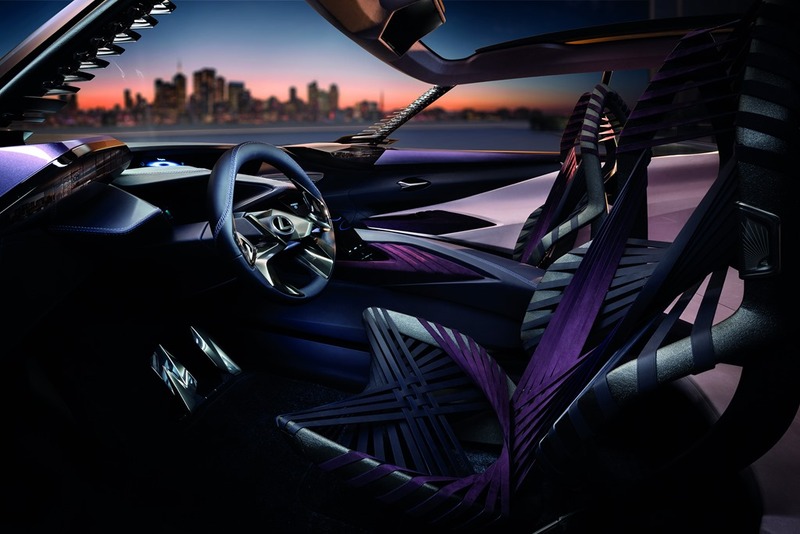 The UX Concept highlights the intention by Lexus to attract an ever-wider group of new, younger, ever-connected urban customers to the brand for the first time. ED² exterior designer Stephan Rasmussen said the brief was to create a new genre of compact crossover – a vehicle that could progress the user experience and create something unique from a customer’s point of view. At the heart of the design lies a futuristic, “inside-out” concept that creates a strong synergy between exterior and interior styling. To the front, the fenders flow seamlessly into the cabin to form housings for e-mirror screens showing the image from door-mounted, rear facing cameras. The dashboard top sits lower than these screens to combine a deconstructed look with excellent forward visibility. To the rear, the bodywork again flows into the cabin, forming the main structure of the rear seat headrests. X-shaped movement from the inside outwards is similarly reinforced through the 4×4 style emphasis of the powerful fenders, with aerodynamically efficient wheel-arch cladding adding a further dimension to the design. ED² interior designer Alexandre Gommier said the “inside-out” concept was the result of many discussions within the team. The “inside-out” styling theme is further emphasised by the wheel arches, roof bars and door cameras. They are all finished in the same material, and represent a form of continuous yet interrupted bone structure; the inner skeleton of the vehicle coming into view as, for instance, the roof bar penetrates the cabin – creating the A-pillar structure – and re-emerges as the door camera mounting. Mr Rasmussen said the team worked extensively in clay as well as digital methods to achieve the best quality of surfacing and design. “Having a highly skilled Takumi (master craftsmen) clay modelling team on the project allowed us to explore many ways to create the beautiful surface interactions that are a key element to this design’s muscular yet elegant boldness,” he said. 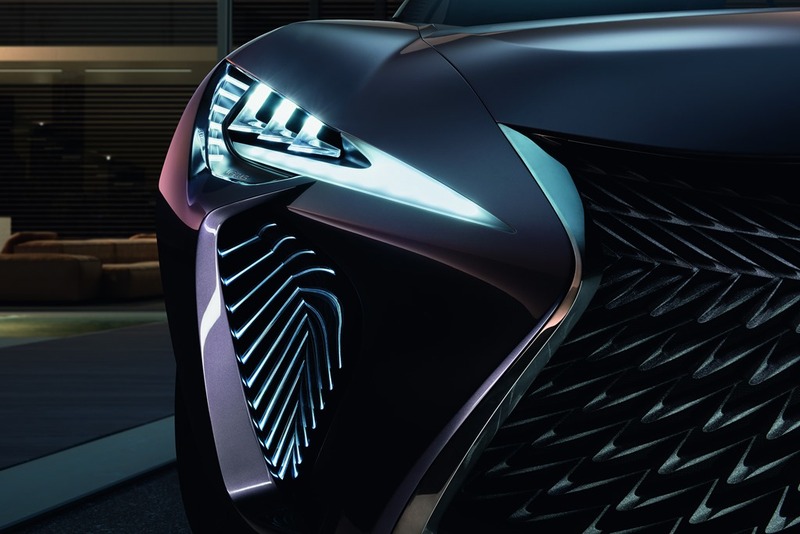 A further evolution of the Lexus spindle grille marks an important step forward, wherein the whole volume surrounding the grille, rather than simply the grille itself, creates the identity of the vehicle; a more three-dimensional starting point which then informs the shape of the body shell. These key external elements are linked together by highly sculptural, sensual surfacing reminiscent of a classic sports car. This architecture is unique to Lexus, the bold horizontal design achieved through volume rather than merely character lines: where the sum of those lines equals the horizontal axis of the car. From the side, the length of the bonnet further emphasises the strong horizontal design, while the peak of the cabin is deliberately set back to create a dynamic and characteristic profile. These key external architectural elements are linked together by highly sculptural, sensual surfacing, resulting in a bold yet rich design. The L-shaped daytime running lights (DRLs) – traditionally located below the main lamp structure – are positioned to pierce the main lamps. 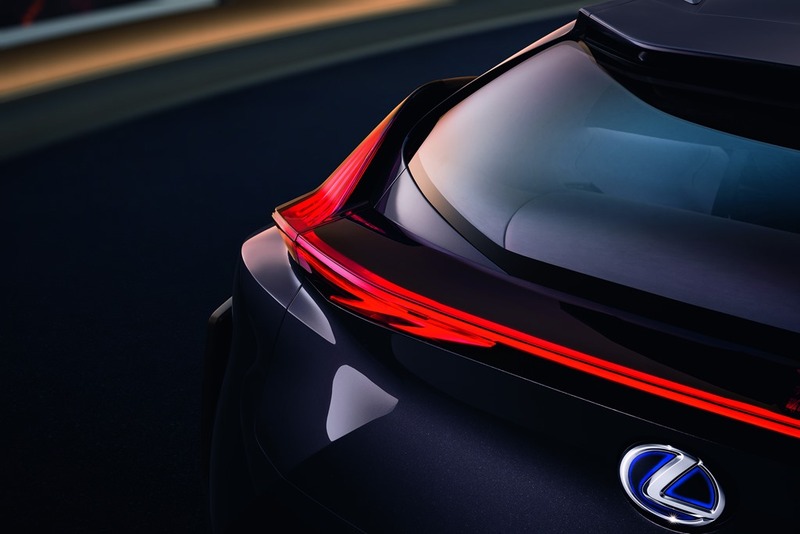 The rear lamp design is now more three-dimensional and integrated within the rear spoiler. Together, the front and rear lamps create a strong horizontal axis through the vehicle body. Even the unique tyres blur the accepted boundaries of materials. The tyre design utilises hi-tech laser carving processes to express two unique aspects. The tread pattern is sporty, maximising road contact for dynamic grip, while the side wall emphasises a cross-over feel through unique sections and seamless integration with the wheel design. A section of the wheel continues into the rubber, making the spokes a visual joint between different sections of tyre. The result is the reading of the wheel and tyre as one, rather than separate elements. A unique, “see-through” A-pillar once again serves to blur the boundaries between the exterior and interior. While the creation of a fully transparent polycarbonate A-pillar is feasible, the UX Concept communicates the message of transparency through the use of polycarbonate fins attached to an aluminium member. The front represents agile sophistication and driver engagement while the rear – styled as a welcoming, soft lounge sofa which wraps around into the rear-hinged back doors – offers the comfort and spaciousness of a robust SUV. Linked both by a central axis console element which floats the full length of the cabin and the visual transparency of a unique front-seat design, front and rear space differences are further reinforced by the interior colour scheme. The front is dark, to communicate a premium, driver-focused environment, while the rear is light and far brighter to create an attractive, welcoming space. “Deconstruction” is a second key design principle employed in the new Lexus UX Concept. This is most powerfully represented in the front of the cabin where, in place of a conventional dashboard, sharp, angular forms overlap and flow past each other to create a strong interplay of shadows and contrasts, making it difficult to identify where they begin or end and reinforcing the mystery of the “inside-out” approach. This particularly Japanese approach to design suggests that, to create a fixed point, you merely have to indicate its notional position with converging lines and the brain fills in the gaps to create that point in the mind. Such “indirect expression” – the premise that you don’t actually need to be able to see something to understand it is there – lies at the heart of the Lexus L-finesse design philosophy. Within this unique, deconstructed interior, a strong “seat in control” principle remains a Lexus brand signature. The front passenger area has been deliberately de-prioritised in the space hierarchy in order to emphasise the driver’s control of the environment. 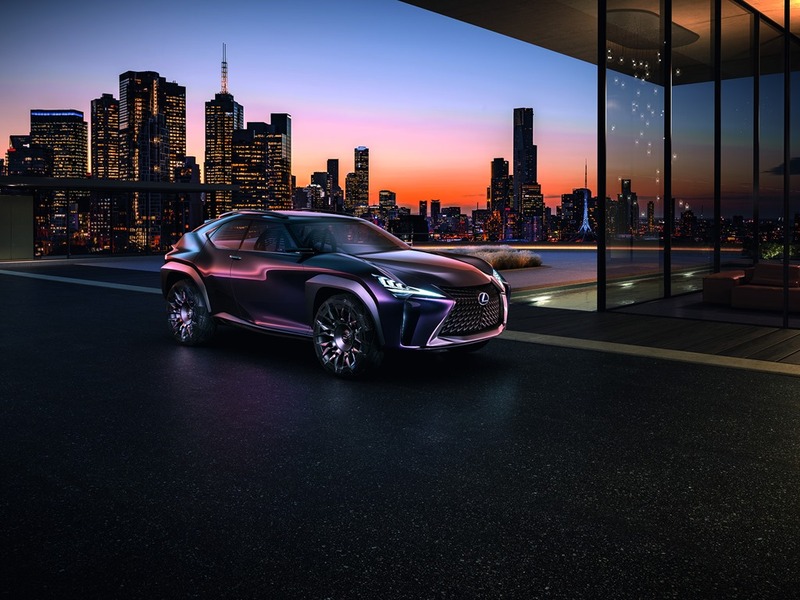 A development of Lexus’ dual-zone instrumentation approach, all on-board HMI technology has been designed to offer progressive customers who live and work in an ever-connected environment an innovative, three-dimensional driver experience. The highly three-dimensional feel of the instrumentation is a further example of the radical, deconstruction techniques used in the UX Concept, the in-and-out flow of the meters – near for air-conditioning, far for navigation – making the cabin space feel larger. The upper display, for example, is projected in such a way that it appears as a far distance display, under the bonnet, for ease of viewing when driving. The driver’s instrument binnacle houses a transparent globe, floating in the manner of a hologram in which a combination of analogue and digital information express a functional yet unexpected user interface. The centre console houses a prominent, faceted crystal structure within which a hologram-style display of the air-conditioning and infotainment is clearly visible to both driver and front passenger. Left and right e-mirror images are displayed on internal screens, the integration of which – rather than serving as a mere detail – informs the entire ‘inside-out’, deconstructed architecture of the dashboard design. 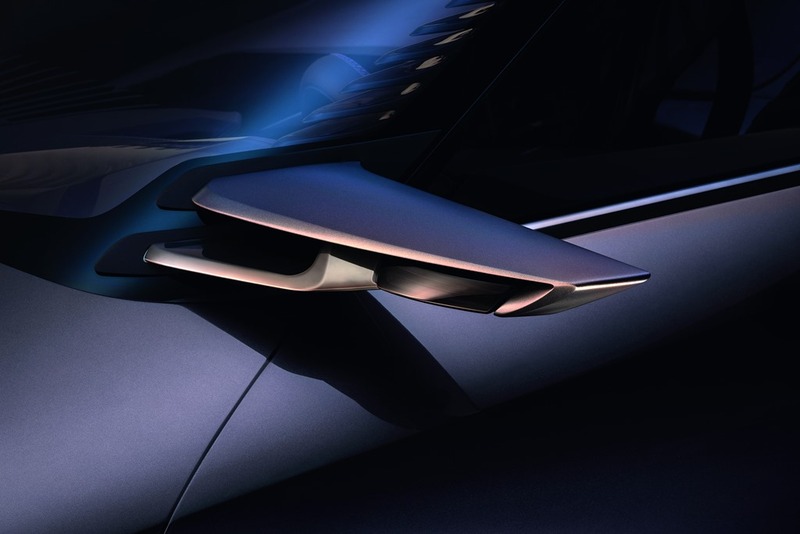 Finally, the fin motif used on the A pillar is repeated on the dashboard to provide a new audio experience for the new generation Lexus customer – a demountable sound bar built into the passenger side of the dashboard. 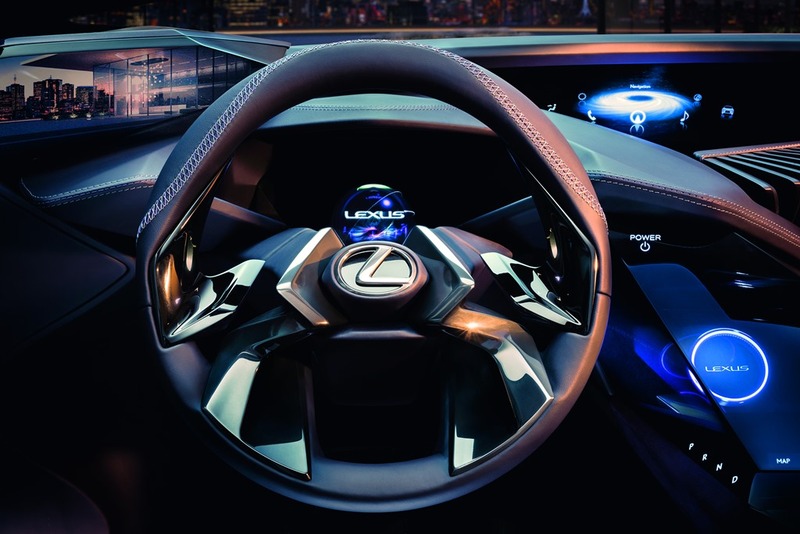 In a new departure for Lexus’ Human Machine Interface (HMI) concept, the ergonomics of the cockpit area flow from the driver’s body, via the seat, up to the steering wheel, rather than from a traditional dashboard layout.